Poonam Bhari practices in all aspects of family law, with experience in public law proceedings, private law applications, international child law and financial remedy applications. Poonam undertakes Court of Protection cases. Poonam can speak and take instructions in Punjab, Hindi and Urdu. Poonam appears in the Family Court and specialises in public law children cases where there are allegations of sexual abuse, non-accidental injuries, death of a parent. Poonam undertakes cases with an international element including forced marriage and child abduction cases. Poonam acts for parents, children’s guardians, the Official Solicitor and local authorities in public law children cases. 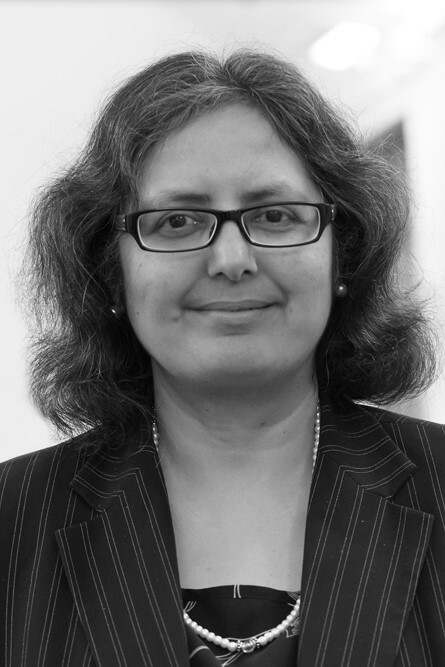 Poonam has represented clients with mental health and learning difficulties and clients from minority ethnic groups. During 2000-2005 Poonam undertook criminal and immigration law cases. She represented the Home Office and appellants in immigration hearings before the tribunal in relation to both asylum and human rights claims. Poonam undertakes voluntary work. She has reviewed cases for the Bar Prop Bono Unit. Poonam was a Trustee of Legal Action Group (Charity) from 2004 to 2016 and Chair of the Board of Trustees for over 10 years. Poonam has been an Executive Committee member of the Association of Lawyers for Children. Poonam was a former schoolteacher and special educational needs co-coordinator before retraining as a barrister. HA (A Child : placement of a child abroad)  EWFC B2 (09 January 2019 ). Poonam represented the respondent father in this case. Provision of undertakings in response to defence under Article 13(b) of Hague Convention 1980 (S (Father) v D (Mother)) - This article was first published on Lexis®PSL Family on 28 January 2019. Poonam Bhari is qualified to accept instructions directly from members of the public and professional clients under the Direct Public Access scheme.